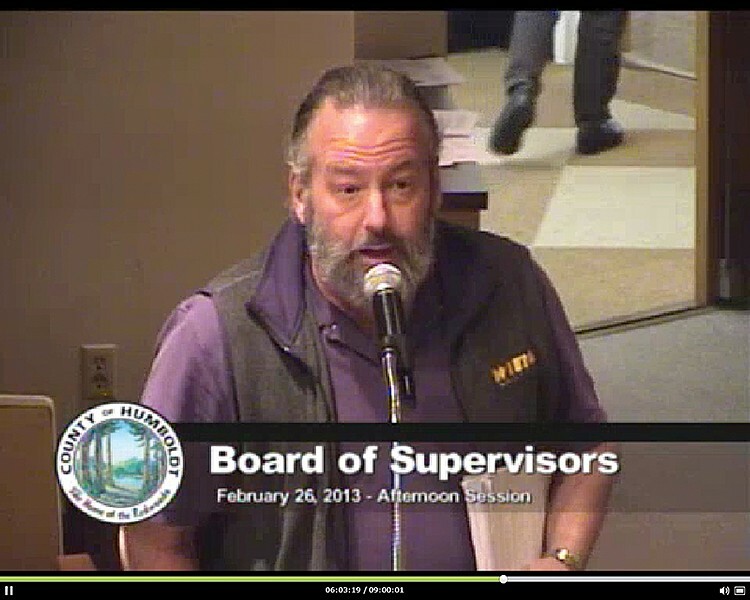 Screenshot of Lee Ulansey addressing the Board of Supervisors at a past meeting. The Humboldt County Board of Supervisors voted 4-1 today, with Third District Supervisor Mike Wilson dissenting, to appoint McKinleyville resident and accountant Brian Mitchell to the at-large planning commission seat currently held by Lee Ulansey. He also pledged “to play well with others” and said that while it is important to support infrastructure and job growth, the county’s natural environment needs to be safeguarded. Ulansey, who was described as a “divisive” figure by some public speakers, was among the 16 candidates under consideration for the position. A recommendation to reappoint the Kneeland resident — brought forward Jan. 17 by First District Supervisor Rex Bohn — was pushed back to this week, with the board majority saying they wanted to look at other nominees. Second District Supervisor Estelle Fennell, who worked with Ulansey at the Humboldt Coalition for Property Rights before being elected, commented today that this was a very difficult decision for her. She noted the work Ulansey has done on the commission and as the founder of HumCPR, saying he was qualified to continue in the role and has been a strong advocate for rural residents and timber land property owners. “For that he has my great appreciation,” Fennell said. Those comments included claims that Ulansey’s donations to the political campaigns of several supervisors amounted to conflicts of interest. “Anyone who knows me, knows I cannot be bought,” Fennell said. “It does feel threatening and it’s not a good feeling, whichever side it’s coming from,” Bass said. She noted that there is a long history of commissioners donating to political campaigns — all of which are public record. Bass went on to say she was “looking for a consensus candidate as well” and representation of the McKinleyville area has been lacking on the commission. 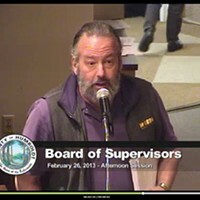 Fifth District Supervisor Ryan Sundberg, the catalyst for examining other candidates for the planning commission post whose constituency includes the McKinleyville area, did not comment other than to put forward his top two choices: Mitchell and Big Lagoon Rancheria General Manager Virgil Moorehead. Wilson put his support behind Nicole Sager, the Yurok Tribe's assistant planning director, saying the commission needed more diversity. Though he voted against Mitchell's appointment, he said he has nothing against him personally and looks forward to working with him. Ulansey’s term expires on Jan. 31.